Since 1 January 2016, insolvency in Poland has been regulated by the texts of the Bankruptcy Law of 28 February 2003 (until 1 January 2016 known as the Bankruptcy and Reorganisation Law) and the Restructuring Law of 15 May 2015 (which is an entirely new legal act published in the Journal of Laws dated 14 July 2015, item 978). These two Acts regulate the situation of companies that are struggling with insolvency – both at an early stage (the threat of liquidity loss), and at its very advanced stage (bankruptcy). Both Acts together provide a comprehensive set of rules of conduct used in cases of insolvency or threat of insolvency of the debtor, and introduce substantial reform to Polish insolvency law. The main assumption for the amendment of the Bankruptcy and Reorganisation Law was the adjustment of Polish law to internationally applied and accepted practices, and, thus, to provide companies with access to procedures providing both effective restructuring of liabilities and the tools to protect creditors. Respective provisions concerning insolvency law matters are contained in other legal acts, such as the Civil Code (provisions concerning the creditor's protection in the event of the debtor's insolvency), the Penal Code (regulations on crimes involving thwarting the satisfaction of the creditor) and the Commercial Companies Code (provisions governing the liability of board members), which also underwent changes owing to the introduced reform of Polish insolvency law. In recent years, there has been a clear trend indicating primarily a change in attitudes towards businesses that have fallen into insolvency. 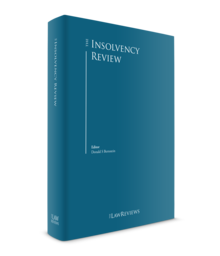 The legislator considered that the preferred form of resolving insolvency problems was restructuring, the purpose of which is to conclude an arrangement with creditors, and consequently the survival of the business on the market. For these reasons, the need to change existing insolvency regulations has become obvious. The source of the chronicity and ineffectiveness of insolvency proceedings was recognised in the regulations in force up to 1 January 2016. At the heart of changes to the Bankruptcy Law, as well as the introduction of the new Restructuring Law, is the idea of the regulator that liquidation of the debtor's property should be the last resort. Therefore, bankruptcy proceedings should be implemented only when it is obvious that it is the only path for creditors to recover at least part of the amounts due. As long as there are perspectives on reaching an agreement with creditors through debt restructuring, the preferred form of the regulator is arrangement. According to the legislator, restructuring is beneficial owing to its twofold action: it allows the debtor to repair its business and creditors to collect their receivables, while at the same time benefiting the economy, primarily by maintaining employment. Currently it is not yet possible to make a comprehensive assessment of the effects of introducing the new provisions of law owing to the short time since their entry into force. However, the first experience confirms that the overall goal of the new legislation has been achieved. This is reflected in the data derived from the court and Economic Monitor according to which there was a decrease in insolvency in 2016. Polish insolvency law envisages four separate procedures for concluding an arrangement with creditors – ranging from the less formalised, conducted to a large extent outside the court, to profound legal and factual restructuring carried out by the trustee under strict supervision of the restructuring court. In general, both commencing restructuring proceedings and preparing arrangement proposals, laying down the methods of restructuring the debtor's liabilities, are on the debtor's side. Nevertheless, after the restructuring proceedings commence, alternative arrangement proposals may also be submitted by the court supervisor, administrator, sole creditor, creditors' group or the council of creditors. The restructuring court refuses to open restructuring proceedings if the effect of such proceedings would be detrimental to creditors, or when the decision on the declaration of bankruptcy is final and binding. Arrangement may provide a wide range of restructuring methods, including, inter alia, spreading repayment of the debt into instalments, postponement of payment deadlines, conversion of receivables into shares and last but not least a liquidation plan. Each restructuring proceeding requires obtaining the restructuring court's approval for the arrangement accepted by the respective majority of the creditors. The court is entitled to reject the arrangement approval if the arrangement violates the law, it is obvious that the arrangement will not be performed or is detrimental to the creditors voting against the arrangement and submitting their reservations. This is the most informal restructuring procedure, which is available to debtors who are able to reach an agreement with the majority of their creditors without court involvement. The procedure is the simplest and least formalised of the restructuring proceedings. There is no establishment of a list of creditors. The main prerequisite for this procedure is that the sum of disputed claims does not exceed 15 per cent of the total claims. This procedure involves the debtor's continued management of their business, but subject to the appointment a licensed supervisor, who acts as supervisor of the arrangement. The debtor determines the arrangement date immediately after the arrangement supervisor starts performing their function. This procedure does not include a creditors' meeting for voting. The debtor presents the proposed restructuring plan to the creditors and collects their votes in writing (with the assistance of the licensed supervisor). Subject to obtaining the required majority of approving votes, the debtor submits an application to the court for approval of the agreement. This submission is required to be made within three months of the voting date. The procedure is available, if the sum of disputed claims does not exceed 15 per cent of the total claims. In comparison to the arrangement proceedings, this procedure is simplified, mainly in the terms of the procedure of determining the claims carrying the voting rights. Within this procedure, all enforcement proceedings regarding the claims to be covered by the arrangement are suspended by law. From the opening of the proceedings, the debtor is not allowed to perform its pecuniary and non-pecuniary obligations to be covered by the arrangement (except for labour claims, claims secured in rem and interest accrued since the opening of proceedings). The procedure consists of management of the debtor's estate (arrangement estate) by the debtor, subject that this management is supervised by the court supervisor. However, in some cases, the court may not agree to the debtor's self-administration, and appoint an administrator. The court's involvement in this procedure is much greater than in the arrangement approval proceedings. The restructuring court examines the debtor's application for opening the accelerated arrangement proceedings (not longer than one week from filing the application), and issues a decision to open the accelerated arrangement proceedings, or to refuse such (the latter the debtor may appeal). The procedure applies only if the sum of disputed claims exceeds 15 per cent of the total claims. This procedure is also commenced upon filing the debtor's application before the restructuring court for opening arrangement proceedings. The application should be accompanied with copies of the arrangement proposals. This procedure involves an interim period (from filing the debtor's application until the procedure commences), within which the restructuring court is entitled to appoint a temporary court supervisor in order to secure the debtor's estate. In certain cases, the court may not agree to the debtor's self-administration, and appoint an administrator to take over the debtor's assets management. Analogous to the accelerated arrangement proceedings, this procedure also assumes that all enforcement proceedings regarding the claims to be covered by the arrangement are suspended by law. The main difference between this and accelerated arrangement proceedings is that, owing to the higher percentage of the disputed claims, more than 15 per cent of the total claims, the allowance of claims is more formalised, and consequently much longer. According to the assumptions, arrangement proceedings should be completed in approximately 10 months. This is the most formalised of the restructuring procedures, but it ensures the broadest range of restructuring options, as well as the widest range of protecting the debtor's assets against creditors. This procedure is commenced upon the debtor's application filed to the restructuring court. As in the case of arrangement proceedings, the court may require the debtor's advance payment to cover the procedure's expenses. This procedure involves the mandatory appointment of the administrator (zarządca) to take over the full management of the debtor's assets (remedial estate), unless the debtor's management is necessary for successful restructuring, and ensures proper management. All enforcement proceedings regarding the claims to be covered by the arrangement are suspended by law. Remedial proceedings enable the debtor to carry out remedial actions and conclude the arrangement after the table of claims has been prepared and approved. Remedial actions include legal and business acts that aim to improve the debtor's economic situation, and restore the debtor's capacity to perform his or her obligations, while protecting him or her against debt enforcement proceedings. Pursuant to the regulations of Polish law, the only available insolvency proceeding is the procedure that stipulates the debtor's assets liquidation. However, even in this far-reaching procedure, it is possible for the debtor to enter into arrangement with creditors. This procedure envisages the possibility of filing an application with the court for the court's approval of the terms of the sale of the debtor's enterprise or its substantial part, together with the petition for bankruptcy. The application must specify at least the price and the purchaser, and be accompanied by a description and valuation of the asset prepared by an expert. The court may accept or reject the application for approval of terms of sale in the bankruptcy order. The decision to accept the application may be contested by each of the creditors within one week from the date of its publication. The sale agreement on terms specified in the court's order must be concluded not later than within 30 days of the date the decision becomes final, unless the terms and conditions of the agreement accepted by the court provide for a different time limit. Funds from such sales are used up in bankruptcy, and are distributed among creditors appropriately. Such a quick sale is intended to increase the chances of survival of the debtor enterprise. The Polish Bankruptcy Law10 provides for ancillary (non-main) insolvency proceedings in Poland, where the main proceedings are pending before a foreign court. Polish courts have exclusive jurisdiction over bankruptcy cases if the principal place of the debtor's business is located in Poland. Ancillary bankruptcy proceedings in Poland occur when the Polish courts have no exclusive jurisdiction (i.e., if the principal place of the debtor's business is not located in Poland). Polish courts are competent if the debtor is engaged in an economic activity, or has its place of residence or registered office or assets, in Poland. If Polish courts have exclusive jurisdiction, bankruptcy proceedings are considered to be main bankruptcy proceedings. In other cases, bankruptcy proceedings are considered to be secondary. If a ruling to initiate foreign main bankruptcy proceedings has been recognised, bankruptcy proceedings initiated in Poland are always secondary bankruptcy proceedings. partners in a professional partnership. Restructuring proceedings may be initiated only by an insolvent debtor, or a debtor at risk of insolvency. Restructuring proceedings, unlike bankruptcy proceedings, are conducted only at the debtor's request. Unless the Restructuring Law provides otherwise, restructuring proceedings are instituted on the basis of the debtor's restructuring application construed as an application for the opening of the restructuring proceedings, and an application for the approval of the arrangement adopted in the arrangement approval proceedings. The main prerequisite for opening bankruptcy proceedings is the debtor's insolvency. A debtor is considered insolvent if it is no longer able to pay its debts as they fall due, which means that the delay in the payment of debts exceeds three months. A debtor who is a legal person, or an organisational unit without legal personality that is granted legal capacity by a separate act of law, is also considered insolvent when their debts exceed the value of the assets, and this state of affairs persists for a period longer than 24 months. partners of a professional partnership. The regulation states that a petition to declare bankruptcy may be filed by the debtor or any of their personal creditors. According to the amended Polish regulations, a petition to declare bankruptcy should be submitted to the court competent for the main centre of the debtor's business. In the case of organisational units, it is presumed that the main centre of the debtor's business is its registered office, and in respect of natural persons the place of business or, if such person does not conduct business, the place of his or her habitual residence. Currently, bankruptcy proceedings are largely identical to liquidation bankruptcy, which was known in the legal situation before 1 January 2016. Pursuant to the Bankruptcy Law, a company may not be declared bankrupt in the period from the commencement of restructuring proceedings to their termination or final discontinuance. In the case of filing a restructuring application and a bankruptcy application at the same time, the restructuring application should have the priority, and be examined first. Insolvency proceedings are conducted by the respective courts – restructuring courts in the case of restructuring proceedings, and the bankruptcy court in relation to bankruptcy proceedings. Both courts are special units of the district court. Bankruptcy courts are established institutions, while the restructuring courts were introduced on 1 January 2016. Restructuring proceedings always take place under court supervision. The role of the court depends on the type of restructuring proceedings, and varies from agreement approval in the arrangement approval proceedings, to active participation of the court in the process of repairing the company in remedial proceedings. The restructuring court is made up of one judge. After the opening of restructuring proceedings, judicial acts in the proceedings are performed by the judge-commissioner, with the exception of such acts that are subject to the court that has jurisdiction. The judge-commissioner directs the course of restructuring proceedings, supervises the actions of the court supervisor and administrator, designates actions that the court supervisor or administrator are not permitted to perform without his or her permission or without the permission of the creditors' committee, as well as admonishes them for any misconduct they have committed. The judge-commissioner, in the scope of his or her acts, has the rights and duties of the court and presiding judge. The judge-commissioner remains in office until the end of the proceedings, or until a decision to discontinue the proceedings becomes valid. Cases involving a declaration of bankruptcy are heard by a bankruptcy court consisting of a panel of three professional judges. A bankruptcy court is a district court. Board of directors' duties in connection to insolvency proceedings are regulated in the Bankruptcy Law,13 as well as in the Commercial Companies Code of 15 September 2000. As a rule, pursuant to the Bankruptcy Law, a debtor is obliged to file a petition for bankruptcy with the court no later than within 30 days of the day when the grounds to declare bankruptcy occurred. In the event the debtor is a legal person or an organisational unit without legal personality that is granted legal capacity by a separate act of law, this obligation rests on each person who is authorised to represent the debtor and manage its affairs. These persons are responsible for any damage caused as a result of their failure to file a petition within the established time limit, unless they are not at fault. Additionally, under the provisions of the Commercial Companies Code, any person who fails to file a bankruptcy petition of the commercial company, despite the occurrence of circumstances that give grounds for bankruptcy of the company or partnership under legal regulations, is liable to a fine, penalty of restriction of freedom or imprisonment of up to one year. The Restructuring Law has introduced a separate restructuring regime for developers and bond issuers. with respect to natural persons not engaged in economic activities. The above-mentioned special bankruptcy regimes are described in detail in the provisions of the Bankruptcy Law. The main differences from the standard procedure concern, inter alia, entities authorised to file a petition for bankruptcy, the order of satisfaction of claims and the composition of the adjudicating court. Under the provisions of Regulation (EU) 2015/848 of the European Parliament and of the Council of 25 May 2015 regarding bankruptcy proceedings, from 26 June 2018 Poland is obliged to create and maintain the register of restructuring and bankruptcy proceedings. Member States have committed to keep in their territory at least one register in which information on insolvency and restructuring proceedings is to be published (Article 24 (1) of the Regulation). According to the Restructuring Law of 15 May 2015, from 1 February 2018 the Central Register of Restructuring and Bankruptcy kept by the Ministry of Justice in electronic version was to operate in Poland. However, following the expiry of the deadline the Central Register has still not yet been established. Currently, the Polish Parliament has been working on the draft Act on Central Register of Debtors, which will probably replace the provisions regarding the Central Register of Restructuring and Bankruptcy not yet introduced (Article 5 of the Restructuring Law). The Central Register of Debtors will disclose information about the entities to which restructuring or bankruptcy proceedings have been carried out, information about entities which were subject to ineffective enforcement proceedings, and information on natural persons who are still recovering from maintenance for a period of more than six months. It is expected that the Act will enter into force on 1 February 2019. In general, the above-mentioned provisions apply only if an international agreement to which the Republic of Poland is a signatory, or the law of an international organisation of which the Republic Poland is a member, provides otherwise. In practice, in the absence of international agreements on insolvency proceedings for which Poland would be a party, its meaning is reduced to the priority of EU law. The acts of EU law that apply prior to the above-mentioned provisions are Regulation No. 1346/2000 (applied by 25 June 2017) and Regulation No. 2015/848 (applied from 26 June 2017). National jurisdiction is regulated in Article 342 of the Restructuring Law and Article 382 of the Bankruptcy Law. In both types of insolvency proceedings (restructuring and bankruptcy), Polish courts have exclusive jurisdiction if the main centre of the debtor's interests is in Poland. Moreover, Polish courts also have jurisdiction if the debtor conducts his or her business activity in Poland, or has a place of residence or registered office or property there. 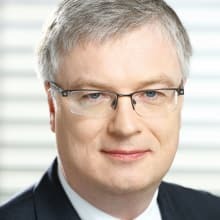 Consequently, if the Polish court's jurisdiction is exclusive, the restructuring or bankruptcy proceedings have the nature of the main proceedings. In other cases, the restructuring or bankruptcy proceedings have the nature of secondary proceedings. In this context, the content of the resolution of the Supreme Court of 20 January 2010 issued under the signature III CZP 115/09 deserves special attention. Although this resolution was issued on the basis of the legal status before 1 January 2016, it remains current in terms of determining the group of entities authorised to institute secondary bankruptcy proceedings in Poland. Pursuant to this resolution, the group of entities authorised to initiate secondary insolvency proceedings before a Polish court is defined in Article 407 of the Bankruptcy and Reorganisation Law (currently Article 407 of the Bankruptcy Law), and not in Article 20 of the Bankruptcy and Reorganisation Law (currently Article 20 of the Bankruptcy Law). There is no doubt that, under the principle of lex specialis derogat generali, in the scope of secondary insolvency proceedings, Article 407 prevails over Article 20 of the Bankruptcy and Reorganisation Law (currently the Bankruptcy Law). According to the Coface 2017 Annual Report, the number of bankruptcies and restructuring of Polish companies amounted to 885, which constitutes 16 per cent more than in 2016 (as per 28 December 2017). Among the types of proceedings, the most were declared bankrupt (537, which constitute 61 per cent). Restructuring proceedings introduced at the beginning of 2016 together with the new bankruptcy law are increasingly used. Their participation in all proceedings is growing – in 2017 it amounted to 39 per cent, while in 2016 it was 27 per cent. Among restructuring proceedings, the most commenced was accelerated arrangement proceedings (209), and the least arrangement approval proceedings (11). A significant increase was recorded in the case of remedial proceedings – their number increased by as much as two-thirds compared with the previous year. The most (250 bankruptcies and restructuring) was recorded in production (11 per cent more than in 2016). Based on the Central Economic Information Centre's data, up to 30 June 2018, 147,055 announcements related to ongoing bankruptcy proceedings were published, including 3,259 regarding consumer bankruptcy, 314 company bankruptcies, and 234 were announcements about the commencement of restructuring proceedings. Details of insolvency cases as well as the court insolvency registers are not available for public disclosure. Partial information on pending insolvency proceedings can be found at: www.portal-bankrut.pl. According to KUKE (Export Credit Insurance Corporation), assuming an increase in economic growth in 2018 of 4.4 per cent, and an increase in the net turnover rate of companies to 4.6 per cent, it may be forecast that about 598 companies will fall this year, which is about 2.6 per cent higher than in 2017. At the same time, the level of restructuring of entities will continue to grow (to approximately 400 per year). In 2018, bankruptcy and restructuring proceedings will finish in the range of 1,000 entities. This would increase total bankruptcy and restructuring at 9.8 per cent. The increase in the number of entities subjected to remedial proceedings, while decreasing the level of bankruptcy, will be the decisive factor for this growth. 1 Bartłomiej Niewczas is a counsel and Patrycja Piotrowska is an associate at Bird & Bird Szepietowski i wspólnicy sp k. The authors would like to thank Daria Mientkeiwicz, a former associate at the firm, for her contribution to this chapter. 2 Articles 210–323 of the Restructuring Law. 3 Article 11 of the Bankruptcy Law. 4 Articles 11–13 of the Bankruptcy Law. 5 Articles 56a–56h of the Bankruptcy Law. 6 Articles 201–213 of the Bankruptcy Law. 7 Articles 239–245a, Article 342 of the Bankruptcy Law. 8 Articles 230 and 343 of the Bankruptcy Law. 9 Article 5 of the Restructuring Law. 10 Articles 379 and 382 of the Bankruptcy Law. 11 Within the meaning of the Act of 23 April 1964 – The Civil Code (J L of 2016 items 380 and 585). 12 Within the meaning of the Civil Code Act of 23 April 1964 (Journal of Laws of 2014, items 121 and 827, and of 2015, item 4). 13 General provisions: Article 21. 14 Referred to in Article 2(14) of the Act on the Bank Guarantee Fund of 10 June 2016, the Deposit Guarantee Scheme and Mandatory Restructuring (J L item 996). 15 Under Article 4(1)(26) of the Regulation of the European Parliament and of the Council (EU) No. 575/2013 of 26 June 2013 on prudential requirements for credit institutions and investment firms, amending Regulation (EU) No. 648/2012 (O J of EU L 176 of 27 June 2013, p. 1) with the registered office in a Member State of the European Union, if they are subsidiary undertakings within the meaning of Article 4(1)(16) of Regulation No. 575/2013 in relation to the credit institution referred to in Article 4(1)(16) of Regulation No. 575/2013, the entity referred to in subsections 3–9, and/or investment firm are supervised on a consolidated basis in accordance with Articles 6–17 of Regulation No. 575/2013. 16 Under Article 4(1)(20) of Regulation No. 575/2013 with the registered office in a Member State of the European Union. 17 Under Article 4(1)(21) of Regulation No. 575/2013 with the registered office in a Member State of the European Union. 18 Under Article 4(1)(22) of Regulation No. 575/2013 with the registered office in a Member State of the European Union. 19 Under Article 4(1)(30) of Regulation No. 575/2013. 20 Under Article 4(1)(31) of Regulation No. 575/2013. 21 Under Article 4(1)(32) of Regulation No. 575/2013. 22 Under Article 4(1)(33) of Regulation No. 575/2013. 23 Unless otherwise provided for in that act, and established by execution of an obligation imposed by an act of law. 24 Title III – Provisions on international restructuring proceedings, Articles 338–348. 25 Second Part – Provisions within the scope of international bankruptcy proceedings, Articles 378–417.